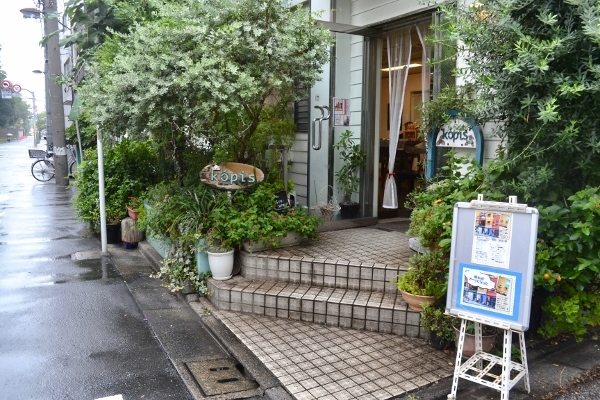 So when I saw pictures of Kopis, I thought that the owner, Ms. Midori, looked like a very gentle, quiet person running a gentle, quiet gallery nestled down a side street in Kiyosumi-shirakawa. I was wrong on every front. After working at various galleries around Ginza, Ms. Midori returned to the town where she was born and raised and opened her own gallery. 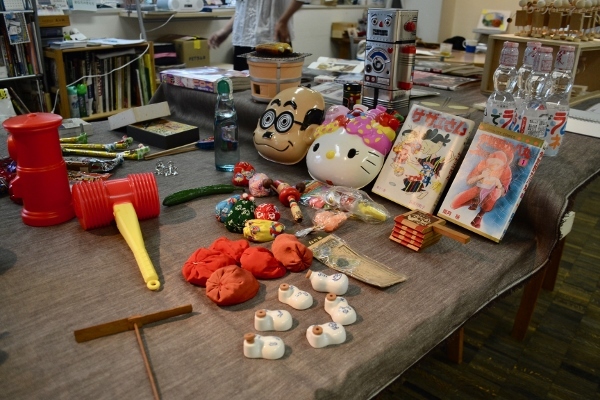 Just down the street is the temporarily closed Museum of Contemporary Art Tokyo; but aside from that, when Ms. Midori opened her gallery’s doors 17 years ago there were no other art spaces in the area. 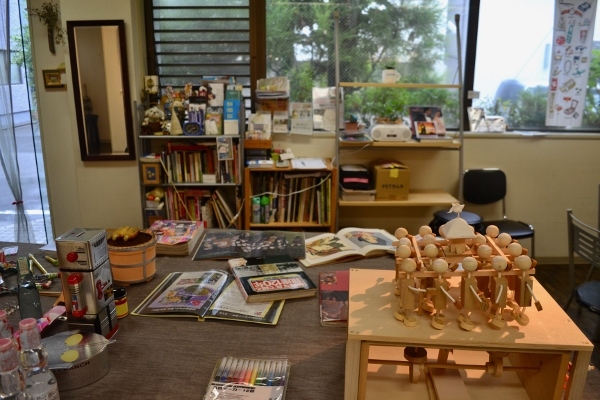 Wanting to promote cultural spaces in the shitamachi are, Ms. Midori opened Kopis and has been putting on exhibitions and holding various events consistently ever since. 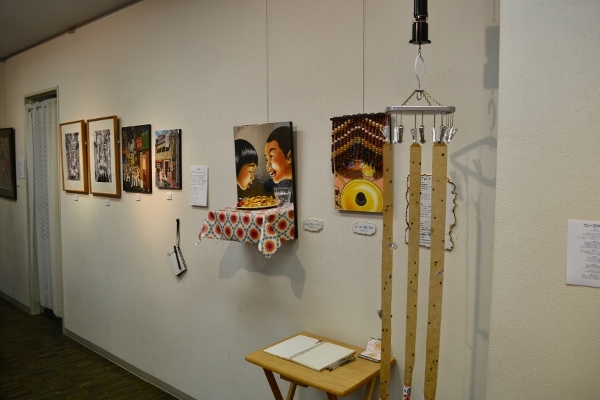 Many of the artists Ms. Midori works with are also from the local area, but she has artists come to exhibit from all over Japan, including ex-pats permanently living in the country. Some artists apply through the Internet, but many are introduced to Ms. Midori through other artists and friends, making the regular list of contributors to Kopis a giant, sprawling family. For each exhibition, Ms. Midori chooses a theme—anything from movies, to charity fundraising, to historical events—and asks different artists if they can contribute. The theme when I went this time was the Showa period (1926~1989), and the range of artists included a man over 92-year-sold, some local artists, and a man from America currently living in Kobe. Some evenings before, they had had a karaoke party where the American artist sang traditional enka songs to everyone’s bewilderment and delight. 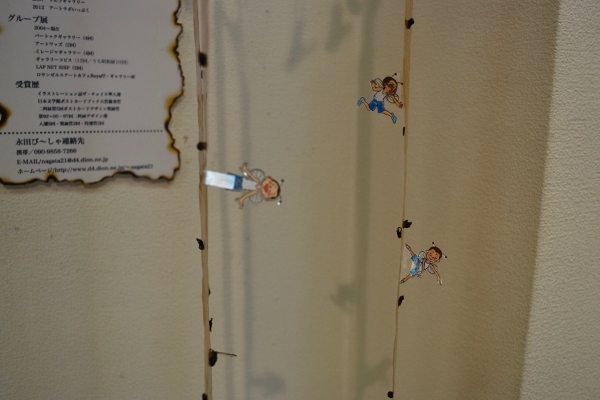 While the art in the Showa exhibition was fantastic, the thing that interested me most about the gallery were the events. Sometimes on the last days of exhibitions Ms. Midori enlists the help of a local sake master to pair the pieces with different alcohol, and there’s a drinking party in the gallery. 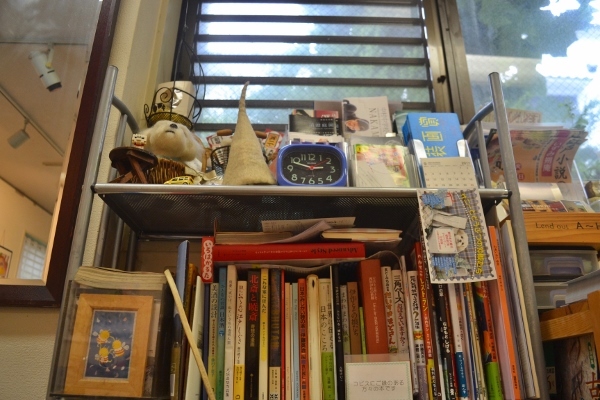 Past events have included screenings of Rocky Horror Picture Show and a fireworks festival where everyone shot small sparklers off the front porch in an effort to avoid the crowded Sumida River Festival. 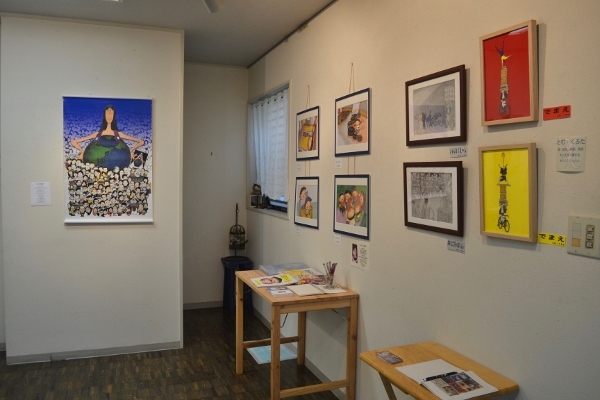 It is certainly inarguable that Ms. Midori is extremely successful in her efforts to make a gallery that is fun, relaxing, and accessible to everyone. 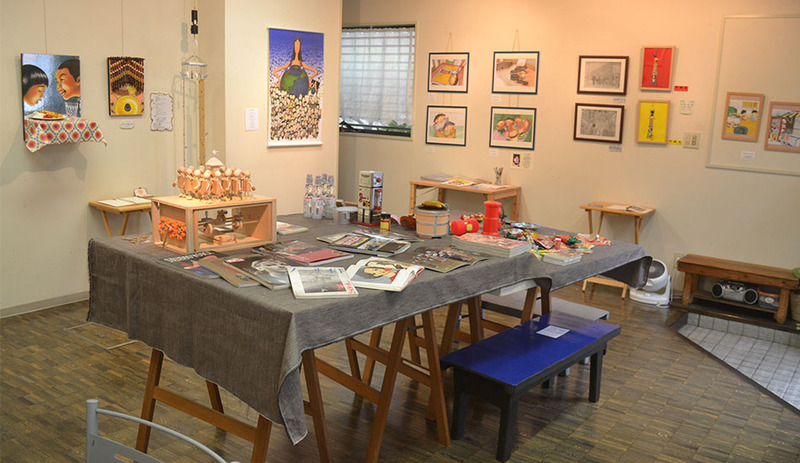 Whether you have an interest in art or not, Gallery Kopis is certainly worth a visit for the welcoming atmosphere and the delightful conversations with the artists and Ms. Midori herself. And if you can make it to one of Kopis’ wild events, I’m sure you won’t regret it.